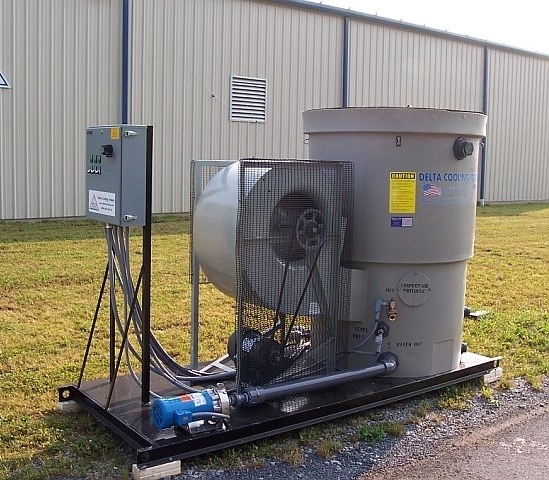 Evaporative Open-Loop System | Manufacturers of Cooling Towers & Systems | Delta Cooling Towers, Inc.
Delta’s ES (Evaporative System) consists of a Cooling Tower with Pump Skid Station. 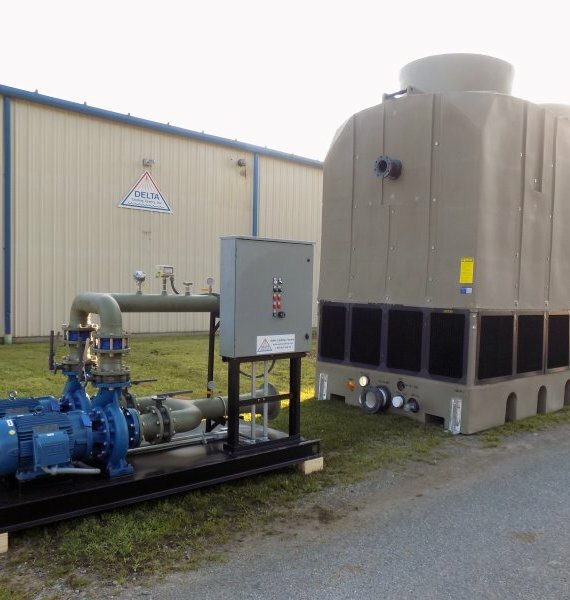 Delta’s ES (Evaporative System) Skid includes: Pump(s), Control Panel, Pre-Wiring of skid components to Panel, and pre-piping of necessary components. All components skid mounted on one common skid. A Plate and Frame Heat Exchanger is added when a closed loop on the process side of the Heat Exchanger is required. Other options/accessories are available. The advantages of this system are it is the most energy efficient (lowest operating cost) and lower first cost.